What are the Advantages of Copper Flex Membrane Switches? Copper Flex membrane switches are ideal for smaller designs where dense circuit patterns or trace routing limitations exist. This design also allows the ability to accommodate the complex circuit patterns of a FR4 rigid printed circuit board with the flexibility of a membrane switch. Copper Flex keypads also have the advantage of being able to hard solder active and passive components into the assembly, making it a good choice in high-vibration, high-reliability environments. 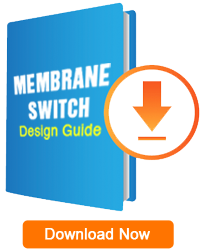 What are the Copper Flex Membrane Switch Design Options & Considerations? Printing vs. Etching Conductive silver ink traces are screen printed onto the film substrate. A sheet of copper is chemically etched away, leaving conductive traces. More expensive than screen printing. Pliability/Weight Silver traces are lightweight and more flexible than solid copper traces. Solid copper traces are heavier and more durable than softer printed silver traces. 0.5mm x 80mm trace = 8 Ohms Lower electrical resistance and higher conductivity. Soldering No. Components are attached with conductive adhesive. Ability to solder active and passive components into the switch design. 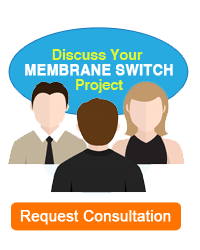 Contact Pannam now to learn more about the various constructions and product features we can offer, and how Pannam can customize your membrane switch to meet specific application requirements. Visit our Product Gallery to learn more about the various constructions and product features we can offer, and how Pannam can customize your membrane switch to meet specific application requirements.